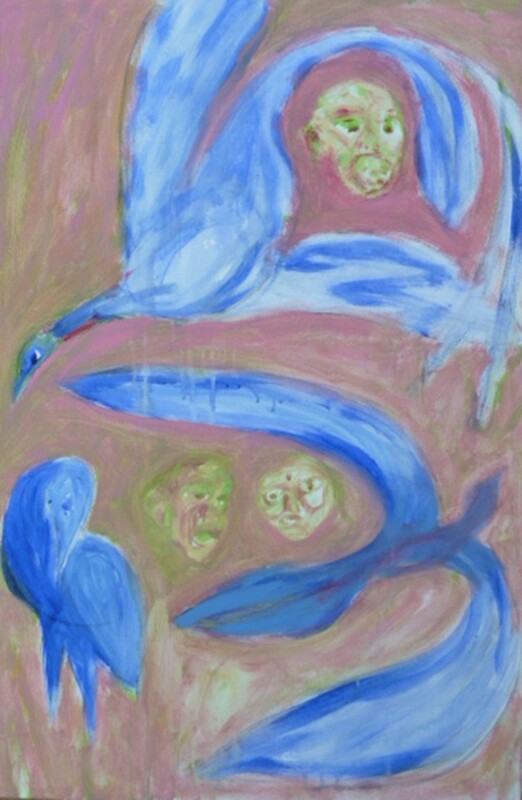 The exhibition The Bird People presents paintings by regional Queensland artist Samuel Blanch, influenced by his fascination of birds and their sounds. Samuel paints in full immersion in the blank space of the surface of the canvas – where the brush has a life of its own. Simple images emerge leaving a sense of the residues of his experience and the comfortable feelings in the presence of the works. Images: Samuel Blanch, Maelstrom (detail) 2011, synthetic polymer paint on canvas. Courtesy of the artist.